What do you do when you want to plan a trip? More than likely you will first decide where it is you want to go, then find flights, then a hotel or other accommodation, and figure out what there is to see and how you'll get there, among a growing list of other items as well. This summer we really wanted to see Scotland and (like many places) knew very little about the place. In fact, I really wasn't sure if Scotland was it's own country or not until we visited (at which point I really learned all about that!). I knew I wanted to visit the Highlands and some of the islands, or Isles. I didn't really want to deal with the hassle of navigating everywhere by ourselves, not to mention driving on the 'other' side of the road. Although in hindsight, I think it would've made for an fun adventure had we gone this route. So, I ultimately decided on a tour. When you Google "Scotland Tours" a large list will populate with many different companies offering tours. 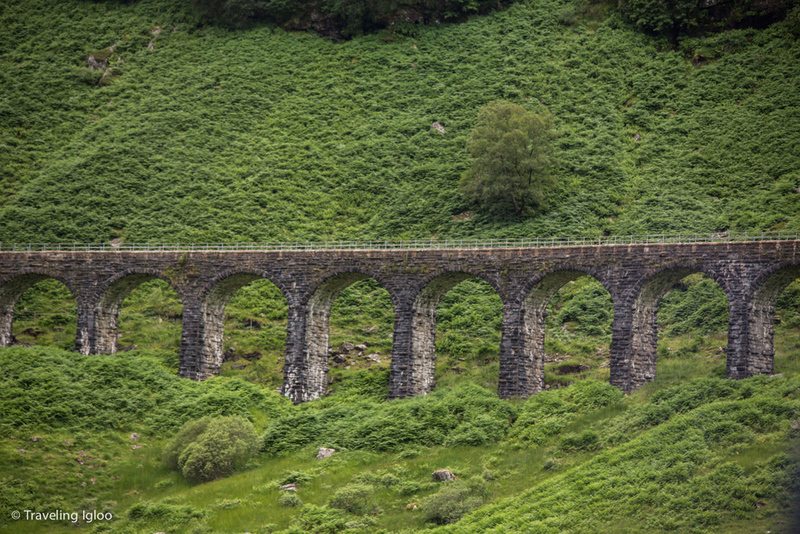 I decided to just book one with Viator since the prices were on point and they had a short 3-day tour to see some of the highlands, including places such as Glencoe, Eilean Donan Castle, lake Loch (Lochness!! ), the fairy ponds, the Isle of Skye, and many more. Our guide was an independent tour operator who worked for many different companies. He also provided private tours as well. His name was Brian and he was friendly, funny, knew his history of Scotland, was very patriotic, and kept us highly entertained for three days. He also was quite good at telling us a fair amount of stories but also providing quiet time to enjoy the scenery. The tour was relaxing, easy, and fun, everything we were hoping it would be. Like any tour, though, there are always trade-offs that must be made. These were things like being stuck with the schedule and waiting for other members of the group to get back on the bus or take a bathroom break. But had we just grabbed a car and gone off on our own, we wouldn't have learned so much history about Scotland, heard the tales of the land, or learned the real story behind William Wallace. I would have never known that Scotland invented everything, according to our guide anyway (but as it turns out he was nearly correct). The Scots really did create a whole lot of stuff, there's even a book titled 'How the Scots Invented the Modern World' where you can learn all sorts of interesting information about what the Scottish people did for the world. Another reason I went with a tour is because Scotland is expensive, really, really excruciatingly expensive. And really I'm not that cheap (well, unless you talk to my husband, then that's a different story). Paying 4 1/2 Scottish pounds for a beer was painful, and an average dinner ran around 10 - 15 pounds which is upwards of $25 for one meal. After searching b&b's and looking for car rentals, the price came out to be about the same if we did a tour versus going on our own. This tour was called the '3-Day Isle of Skye Small Group Tour from Edinburgh' so we decided to fly in to Edinburgh to explore for a few days before and after the tour. Edinburgh was such a fun city. We wandered around and explored, making our way into shops, venturing into the Edinburgh castle, and also making pitstops into many pubs. If you like pub culture you really can't go wrong in Edinburgh. They are everywhere. I was also delighted to find that ginger beer with alcohol is very popular in Scotland. I always love a good moscow mule, but it's made with alcohol free ginger beer. I hope they sell this stuff in the states because it's one of my favorites. It's not too sweet and very refreshing. The first night we accidentally found ourselves in the center of a pretty rough looking locals pub, but they were still friendly. While Edinburgh was great and we had a great time walking around, I was eager to see the countryside and visit the Highlands. We started our route by driving through much of the city. Brian wanted us to see other areas than the tourist part of Edinburgh. We did pass by the coffee shop where J.K. Rowling would sit and write and oftentimes get kicked out for hanging out too long and not buying enough coffee to justify her stay. We also passed through some beautiful neighborhoods and green spaces. We then headed across the bridge and stopped by a small town for coffee and snacks and to stretch our legs. Then it was onward to the Highlands! 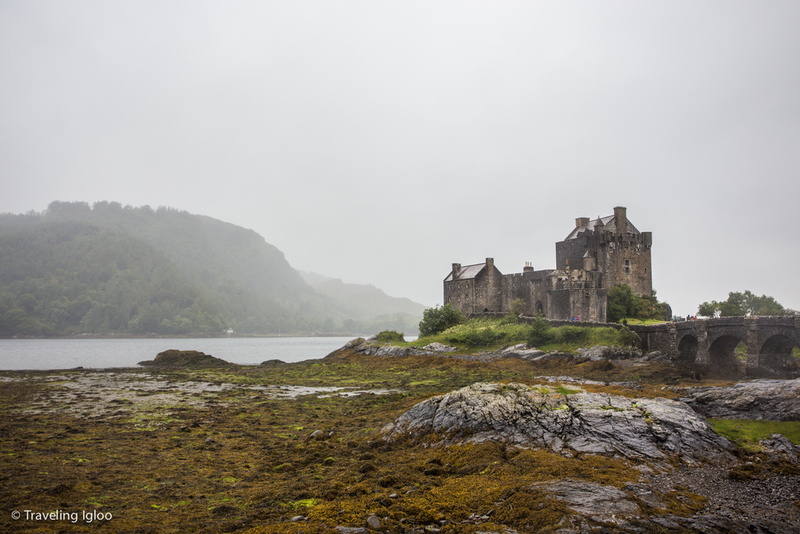 The Eilean Donan castle is considered one of the most iconic castles of Scotland. For a fee you can head inside and check it out. As you can see, the weather was a bit misty and cloudy when we were there. The weather in the HIghlands can be quite wild and erratic. One minute it's blue skies and sunshine, then next it's clouds and fog rolling through with a sharp drop in temperature. That was the case on our first day. Being from Alaska, I'm no stranger to crazy weather, and I kept laughing to myself because so many areas of the Highlands resembled home. Brian kept telling us about the wild weather of the Highlands, and that many hikers get lost or worse because they see a sunny day and don't plan for all the weather that may get thrown at them. There was a nice break in the clouds and we came across the most beautiful rainbow. Across the street was a thundering waterfall, but I was so mesmerized by the rainbow I decided to take a picture of it instead. And finally we arrived at our destination, Portree, the largest town on the isle. This island is connected to the mainland by a long bridge, so no need to take a ferry to get across like many of the other isles. The small fishing town itself had many restaurants and shops. If you're visiting here I would advise making restaurant reservations plenty ahead of time. I think we had to walk to about 10 different restaurants until we found one that had availability. The town has a live show in the main square every week and we happened to be there on the right night! We listened for a bit then headed off to bed. The next day we had a lot to see and do and I came down with a nasty little cold so was in need of some sleep! More to come and MANY more photos on Day 2. Stay tuned!